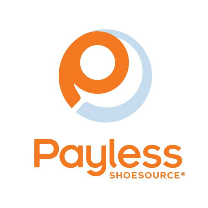 Payless ShoeSource, your one-stop-shop for men's, women's and children's footwear. Sizes are available in regular and wide width from size 5 to 13 in women's and 5 to 15 in men's. Payless also carries family footwear for infants, toddlers and youths. Backpacks, purses, handbags, jewellery and socks can also be found to complete your look. Shop the hottest shoes at the best prices today at CF Fairview Park in Kitchener.